Our mission is to offer you a yoga and meditation practice that grounds and inspires you to be your best self. We offer yogis of all levels an unique yoga and meditation practice that grounds and inspires you to be your best self. When I found yoga, I instantly fell in love with it. It healed my mind, body and soul. I founded Moving Meditation to share my love of yoga with you. I’ve created a series of videos that you can do at home, whether you are a beginner discovering yoga for the first time or you are an advanced yogi looking to deepen your practice. I’ve also made a series of meditation videos to offer the chance to re-connect with yourself and manifest your hopes and dreams. I hope that you can take time and space to establish your own practice at home, and find a mind body connection that will truly ground you in your life. 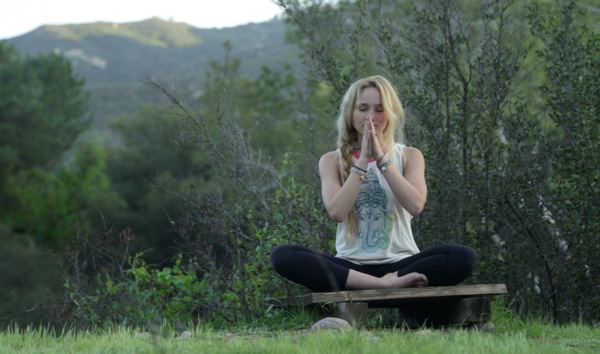 I founded Moving Meditation to share my love of yoga with you. I’ve invited two friends who are incredible yogis to deliver the series with me: Alizah Silver & Cassie Stevenson. I hope you enjoy the mix of our styles and approaches. I invited my friend Sion to contribute music to many of the videos you’ll find on Moving Meditation. Sion’s mellow but upbeat tracks help create the perfect motivating soundtrack for a yoga practice in which you can leave everything behind and really enter the present. He even created some exclusive tunes just for Moving Meditation, including the beautiful Kaua’i & Up and Down. Check out Sion’s SoundCloud here and get inspired: SoundsofSion. Begin Your Practice Today! Choose the Right Moving Meditation Package for You!